Well water filtration systems from RainSoft can improve your water quality. 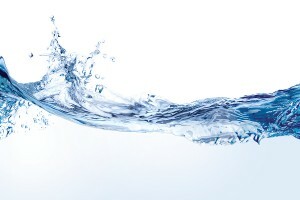 While most well water comes from ground water and is a safe, reliable source of drinking water for your family, it can contain naturally occurring chemicals and minerals, or be affected by the nearby use of fertilizers and pesticides, malfunctioning septic systems, underground fuel tanks, and other sources of impurities. Furthermore, private wells are not covered by the U.S. Environmental Protection Agency regulations that protect public drinking water systems, so homeowners don’t have this assurance that their well water meets uniform standards of quality. Before considering any type of water treatment, including well water filtration systems, it’s a good idea to have your water tested for the presence of unwanted minerals, chemicals, and other contaminants by a water treatment expert. Some contaminants are easily identifiable (e.g., through a noticeable odor, visible particles, or bad taste), but others aren’t so readily apparent. A highly trained and experienced water treatment professional from RainSoft will be happy to assess your water treatment needs through a complimentary, in-home analysis of your water. If we determine that your water requires treatment, you can rely on RainSoft to help you choose among our high-quality well water filtration systems and other products to find the best system to meet your needs. A leading manufacturer of home water treatment systems since 1953, RainSoft remains committed to delivering the finest solutions, including well water filtration systems, backed by world-class customer service and a comprehensive Limited Lifetime Warranty. Our home water treatment and filtration specialist will show you exactly what is in your water, help determine the source of the impurities, and recommend the best way to remove them. To learn more about whole house water filtration, or to schedule an appointment for an in-home water test, please contact a RainSoft dealer near you. We can also provide information on drinking water systems, such as our reverse osmosis system, or an air purification system for your home.